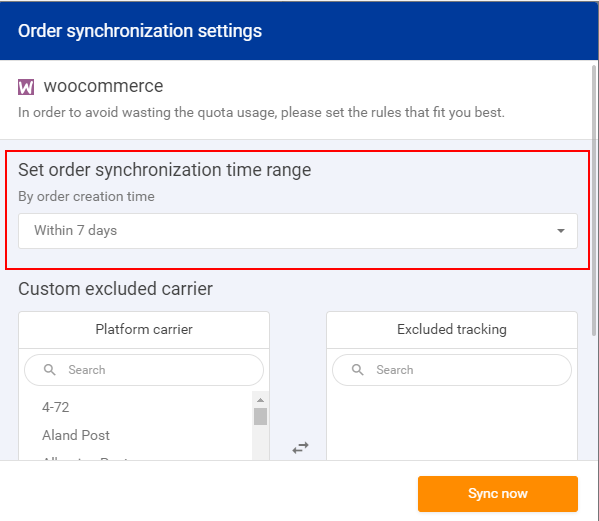 In order to avoid consuming your tracking quota for orders that have been completed a long time ago, you can choose the number of days you want to sync in your shop by order creation date. For example, you may choose a time range of 15 days or other options. By default, the system will only synchronize orders for the recent 7 days. You can select a time range then click Sync now.